The move came along with reduced expectations in GDP growth and inflation and a bump higher in the unemployment rate outlook. Not only did the Federal Reserve decide Wednesday not to raise interest rates, but it also indicated that no more hikes will be coming this year. In a unanimous move that coincides with market expectations and demands, the central bank’s policymaking Federal Open Market Committee (FOMC) took a sharp dovish turn from policy projections just three months earlier. Committee members had estimated in December that two rate hikes would be appropriate in 2019 after four increases in 2018. They also pointed to at least another one before ending a round of policy tightening that began in December 2015. However, there now appears to be no likelihood of a hike unless conditions change significantly. In its post-meeting statement, the FOMC indicated it would remain “patient” before adopting any further increases. For a central bank not so long ago intent on normalizing policy from its financial crisis-era accommodation levels, the developments at this week’s meeting represent a striking change in direction. The Fed had held its benchmark rate near zero for seven years as it looked to stimulate the housing market and overall economic activity. Its low-rate programs coincided with the longest bull market on record for stocks. 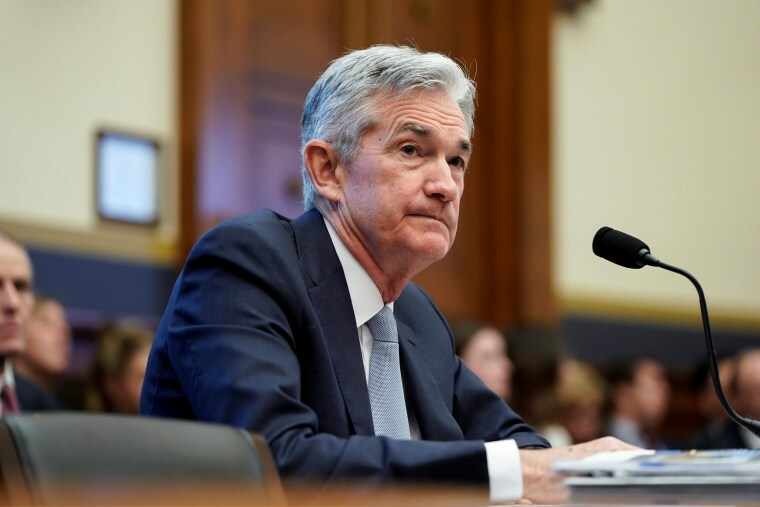 However, Chairman Jerome Powell, and before him Janet Yellen, has sought to get policy back to a place where the Fed would have room to move in case of another pronounced economic downturn. Along with the historic lows in rate came three rounds of bond buying that helped provide liquidity to financial markets. The program had pushed the Fed’s balance sheet to $4.5 trillion, which it has sought to lower through a program that allowed proceeds from the bonds to roll off each month. That roll-off program also will conclude at the end of September, a decision that also occurred in conjunction with financial market pressure on the Fed to stop tightening policy at a time when economic uncertainty is running high. Fed officials now see economic gains of just 2.1 percent this year, down from the 2.3 percent estimate in December, and inflation reaching 1.8 percent, a 0.1 percentage point reduction. The unemployment rate for this year is now seen at 3.7 percent, up 0.2 percentage points from December. The lowered rate outlook was expressed in a sharp shift downward in the committee’s “dot plot” – a chart anonymously expressing the expectations of each of the FOMC’s 17 dot-posting members. In the previous quarter’s projections, just two members anticipated no hike. That moved to 11 in the current plot. December’s meeting indicated 11 members believing two hikes would be appropriate. That shifted to two this time. In the statement explaining its decision, the committee said economic activity “has slowed” even though the labor market remains “strong” despite February’s weak 20,000 growth in nonfarm payrolls. More specifically, the statement said “recent indicators point to slower growth of household spending and business fixed investment in the first quarter,” a period during which GDP gains are expected to be modest. Inflation also has “declined” due largely to a drop in energy prices, the statement added.